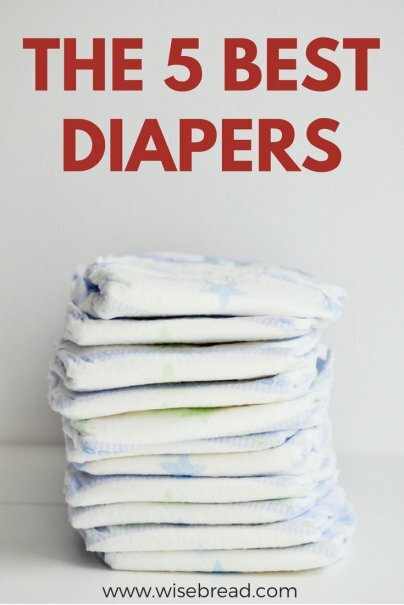 Diapers are an absolute necessity for any new baby. They are designed to keep your baby dry and comfortable at all times of the day and night. As your baby grows, you will need to change diaper sizes so that they can still enjoy a secure, comfortable fit. Amazon's Choice for diapers, the Pampers Swaddlers Diapers offer the best comfort and protection. The ultrasoft diapers absorb liquid quickly for fewer leaks. The extra absorb channels and absorb away liner are specially designed to help distribute wetness evenly for up to 12 hours of protection. The color-changing wetness indicator shows when your baby needs to be changed, so there's no more guesswork. The contoured umbilical cord notch provides a more comfortable fit around the healing belly button. These come in eight sizes to securely and comfortably fit your baby. The Pampers brand is recommended by Consumer Reports and is the #1 choice of hospitals across the country. These are also recommended by Good Housekeeping, BabyCenter, and BabyGearLab. According to BabyGearLab, Pampers won an absorbency test hands-down versus Huggies. Many experienced parents chimed in that after they tried the Pampers Swaddlers, they wouldn't go back to using anything else on their kids. They also have outstanding online reviews, including more than 5,500 five-star reviews on Amazon. Pampers Baby Dry Diapers and Pampers Cruisers Diapers are other Amazon best-sellers from the renowned brand. 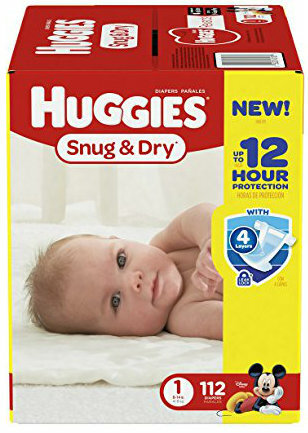 The Huggies Snug and Dry Diapers wick away moisture so your baby's skin stays dry. The triple layer protection, quick-absorbing layers, and Leak Lock system eliminate leaks for up to 12 hours of protection. The ultrasoft diapers have a stretchy waist and wide Velcro straps for a snug, comfortable fit. The umbilical cord cutout provides a more comfortable fit around the healing belly button. This comes in a range of sizes and designs to comfortably fit your growing baby. The Huggies brand is recommended by Consumer Reports. These are also recommended by Good Housekeeping and BabyCenter. They are also backed by outstanding online reviews, including nearly 3,900 five-star reviews on Amazon. 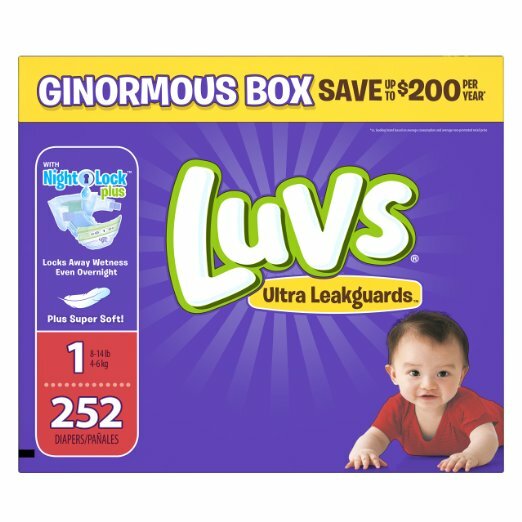 The Luvs Ultra Leakguards Newborn Diapers are super soft on delicate baby skin. They feature NightLock Plus for ultra absorbency and a Leakguard core to keep your baby's skin dry. They have absorbent padding for enhanced leak prevention and great overnight protection. They have large, refastenable stretch tabs for a secure, snug fit and a wide fastening area for easy changing. The leg leak barriers also gather to help prevent leaks. These are available in various fun designs and in seven sizes to improve fit and comfort. The Luvs brand is recommended by Consumer Reports. These are also recommended by BabyCenter and have more than 3,800 five-star reviews on Amazon. They are also backed by a 45-day money-back guarantee. 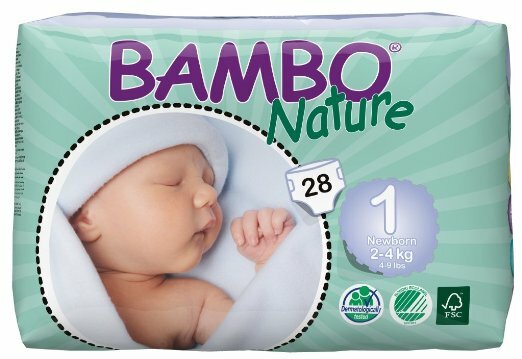 The Bambo Nature Premium Baby Diapers are pricey, but most reviewers agree that they're worth the higher price tag. They are the only eco-friendly diaper with a wetness indicator. They are flexible, breathable, ultrasoft, and offer great overnight absorbency. They are thin, but will keep your baby dry. The dermatologically-tested diapers are safe for your baby and the environment. They are similar to a soft cloth diaper thanks to the fabric-like materials. They have no chlorine, dyes, latex, or fragrances, and are free of allergens and irritating substances. They are also designed to minimize the risks of allergies and diaper rash. These are available in six sizes. They are recommended by Good Housekeeping and are BabyGearLab's Editors' Choice. They also have more than 1,100 five-star reviews on Amazon. 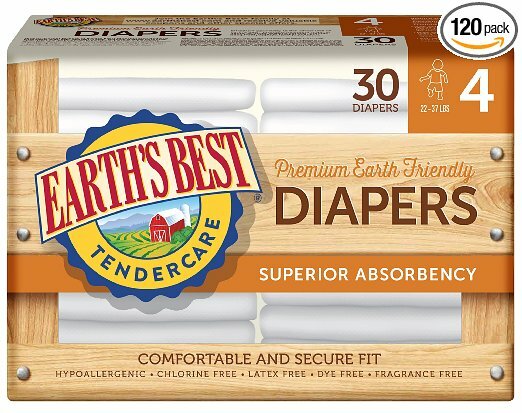 The Earth's Best Chlorine-Free Diapers are safe for your baby and the environment. They are hypoallergenic, chlorine-free, latex-free, dye-free, and fragrance-free. They are made with renewable resources and bio-based absorbent materials to reduce the use of petroleum-based gels. They don't release any dangerous dioxins into the environment and use 20% fewer petrochemicals than traditional disposable diapers to help protect your baby's sensitive skin. They are ultrasoft thanks to the use of cloth-like materials. They offer comfy stretch refastenable side panels with grip tabs for a comfortable, secure fit with less chafing and rashes. They also have breathable sides and moisture barrier cuffs for superior overnight absorbency and leak protection. These are available in seven sizes, ranging from newborn to 35+ lbs. They are recommended by Good Housekeeping and BabyGearLab, and have more than 1,000 five-star reviews on Amazon. They are also frequently compared to Seventh Generation diapers and always come out on top. And those are our recommendations for the best diapers. As always, be sure to check Wise Bread's Buying Calendar to learn when and how to buy just about anything!